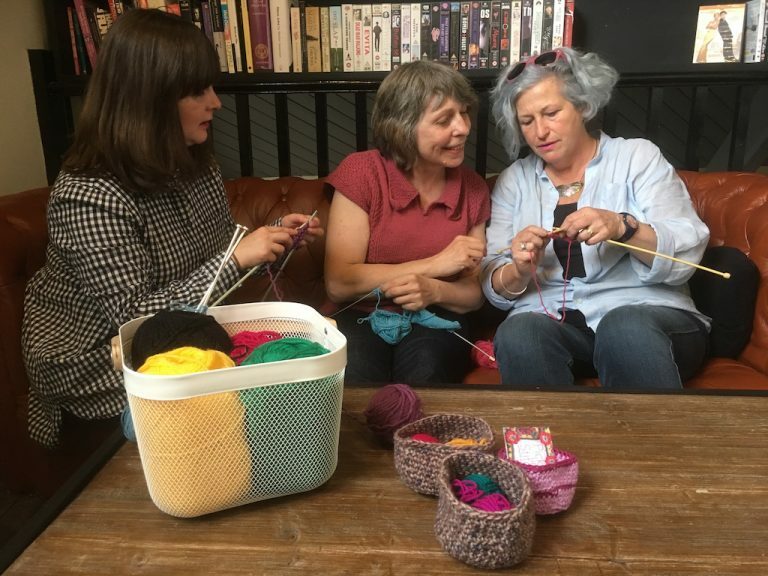 The Now We’re Knitting beginners courses comprise three separate hour-long 1-2-1 lessons. You’ll be learning basic knit and purl stitches, how to cast on and how to cast off, how to increase and decrease, finish your work and read a pattern. The lessons are to be taken within a month, and you’ll need to do a bit of practice in between lessons. A pair of needles and a ball of yarn is included in the course price. The course is designed as individual 1-2-1 lessons but if you would like to learn with a friend, that can be arranged too. The fee for the whole course is £40 per person payable at the first class. For a full list of all my other classes scheduled in Crouch End and beyone, click here.